On 1 November 1988, All Saint’s Day, I took part in a service celebrating both the 500th anniversary of the translation of the Bible into Welsh and the brand new translation of the Bible into modern Welsh. The service took place at Westminster Abbey. It was the first, and indeed the only time, I have ever been to this most distinguished of English church buildings. Before the service began, the Dean of the Abbey took us through the protocol, including what we should do when the Queen arrived. “When, and how, should we bow?” it was asked. 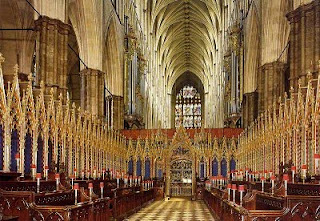 As a Free Churchman, I was duly impressed to hear the Dean’s answer: one does not bow to the Queen in the Abbey; in the Abbey, before God the King, royalty has no prerogative over commoner: before the Lord, you might say, all lances are of equal length. 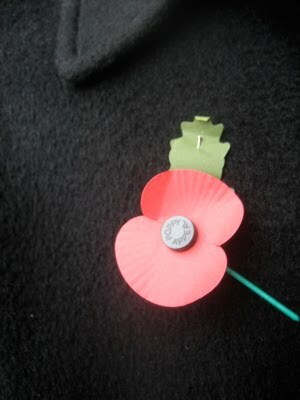 I am always deeply moved when I stand before war memorials. And yet the awe I felt in Westminster Abbey, the respect I feel before war memorials in any church, is always finally displaced by a deeper sense of disturbance – particularly when I look at the inevitable plaque on which are inscribed the words: “Pro Deo et patria”. The brilliant Great War poet Wilfred Owen, in “Dulce Et Decorum Est”, bitterly called it “the old lie” (the translation is “It is sweet and right / To die for your country”). Nor should it be overlooked that Owen took his famous line from an ode by Horace, the Latin poet, the Laureate of Rome – Rome, the great pagan empire and war machine, one of whose procurators, known as Pontius Pilate, sent our Lord to torture and death for the threat he posed to the way that all states do business when push comes to shove: namely, they lie to their own people and they kill people in other states. That is what is so profoundly disturbing about Westminster Abbey and other churches: they honour people who kill other people, including other Christians, and they do it in the name of Britain or America – or Germany, for example – that is, they do it in our name, which is disturbing enough, but they also do it in the name of God, assuming that God is on the side of Britain or America – or Germany, for example – because God is always “God with us” – or in German, Gott mit uns. Or has any nation ever gone to war without assuming that God is on its side? But in a church, where God is not just any old deity, and certainly not the tribal deity of any nation, but the God and Judge of all nations (and who is the God of all nations but the God and Father of our Lord Jesus Christ? ), is that not profoundly disturbing? The biblical inscription in Westminster Abbey – “Greater love hath no man than this…” – it goes on: “that a man lay down his life for his friends.” “But what such monuments miss is the rest of the story: the Jesus we praise in our places of Christian worship is the Jesus who did not seek to kill his enemies, but to love them. The Jesus we exalt taught us not to destroy our enemies, but to pray for them. The Jesus we adore demonstrated his bravery not while taking the life of an opponent, but while laying down his life for the good of those who hated him” (Lee Camp). I mean no disrespect to those who have gone to war for any nation, let alone to those who have “paid the ultimate sacrifice”. I will not disrespect men and women who, in good conscience, have become soldiers. I am well aware that, despite society’s valorisation of the warrior, most soldiers find the killing fields to be wrenching dislocations from their own moral geography (which is why nothing produces peace activists like warfare, veterans being among the staunchest). I will not even disrespect Christian men and women who, in good faith, have become soldiers. And as for presidents and prime ministers with their pompous pronouncements about the “national interest” and “our great cause”, well, yes, I seethe when they send away people – always young people, usually poorer young people – to kill or be killed; and as for the “enemy”, they don’t count, and the civilians are, literally not even counted. But, on the other hand, what else should one expect from statesmen who, prodigally, fashion armies and perfect weapons of mass destruction as if they will not, eventually, use them, and who deploy propaganda, disingenuously, as if mendacity and mayhem weren’t bloody blood brothers? No, finally, it’s not the soldiers, and not even the statesmen, it’s the church that drives me to despair – and to shame. The church: with the conversion of Constantine in the fourth century, the church became the church of empire, and with the birth of nations in the sixteenth century, the church of this state and that – the word is “Christendom” – such that the church became the spiritual wing of temporal power and wealth, and, worse, itself took on the accoutrements of temporal power – coercion – and wealth – corruption. The church: when dissenters spoke out against this abrogation of the practice of Jesus and the early church, when during and after the Reformation they formed communities of the non-violent – the Anabaptists, the Mennonites, the Quakers – they were marginalized and martyred by Catholics and mainline Protestants alike. The church: and now, in the West, here we are, enterprises in the business of selling the commodity of religion, with all the usual concerns of shopkeepers – packaging the product, luring the punters, keeping them happy, outfoxing the competition – and the state is delighted as long as we keep the enterprise a private enterprise and don’t dare let it interfere with the public enterprise of Realpolitik. And here is the irony: exalting the nation that guarantees our “freedom” in the marketplace of religion, we maintain the religion we are free to practice – how? – precisely by setting aside the way of Jesus in whose name we practice it. Jesus is the bearer of a radical new way of being human: free from the compulsion of being in charge, of thinking that we can fix things by breaking things; free to be obedient rather than effective, and effective only as salt, not steel, is effective; free to believe that little flocks of sheep, and not big packs of wolves, are the bearer of God’s purpose for the world; and free, finally, to see that the question of non-violence is not “Is it realistic?” but simply “Should it be?” And then to trust that “if it should, then God can,” and that “whether we can depends only on whether we believe and obey” (John Howard Yoder, adapted).